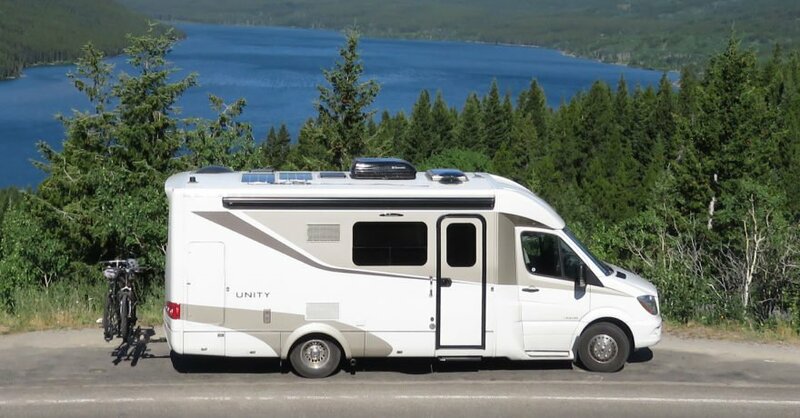 My husband and I have been RVing for over a year now, and a question we often hear is, “which RV should we buy?” So, I’m going to explain why we went from a fifth wheel to a Class B+ Leisure Travel Van. Let me start by saying one is not necessarily better than the other. It’s all going to depend on what kind of travel you are planning on doing. 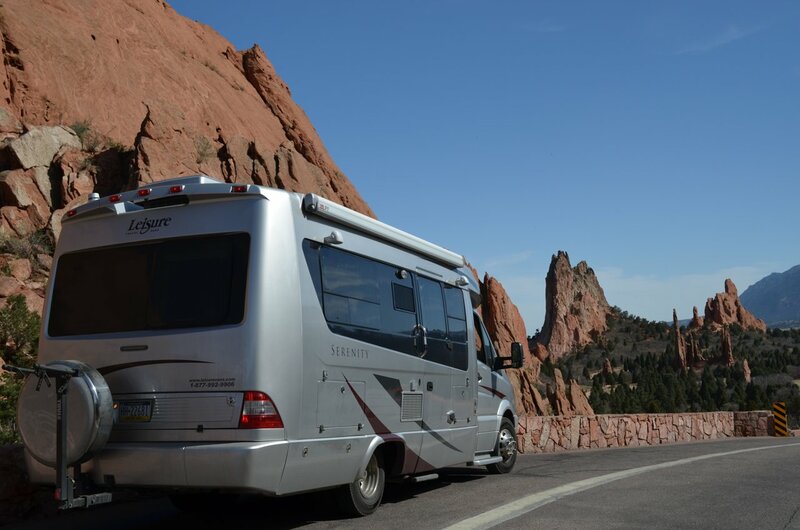 When we bought the fifth wheel we were thinking, “wow – this thing is big, it’s roomy, it’s luxurious, and tons of people can fit inside.” But once we had hit the road, we quickly realized that this was not the type of traveling we wanted to be doing. We wanted to be able to stop at those random places along the way, park nearly anywhere, keep out of the RV parks, and camp for free. The reality of having tons of people over all the time wasn’t accurate either, and whenever we do have company over, we are all outside around a bonfire. Wanting that extra space was actually a waste of space. 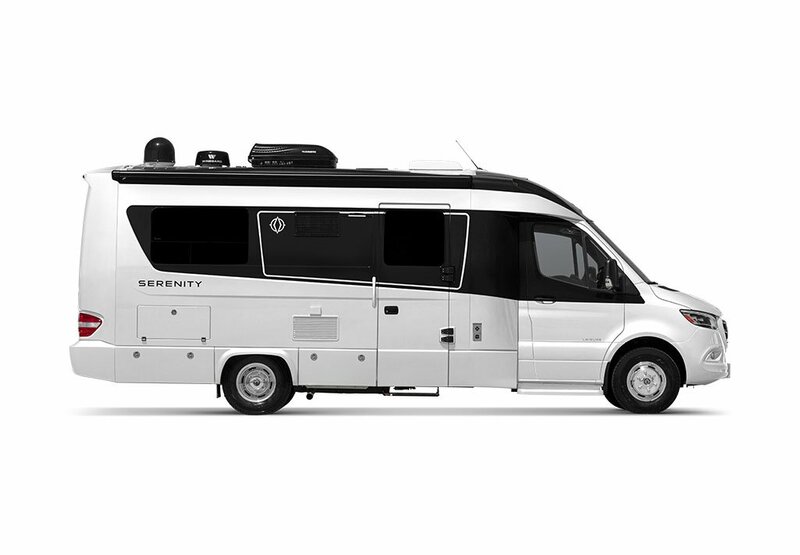 The type of RV you have will affect where you’re able to camp. Staying in an RV park is generally going to cost you $40 – $60 per night, although there are parks that can cost up to $100 per night. 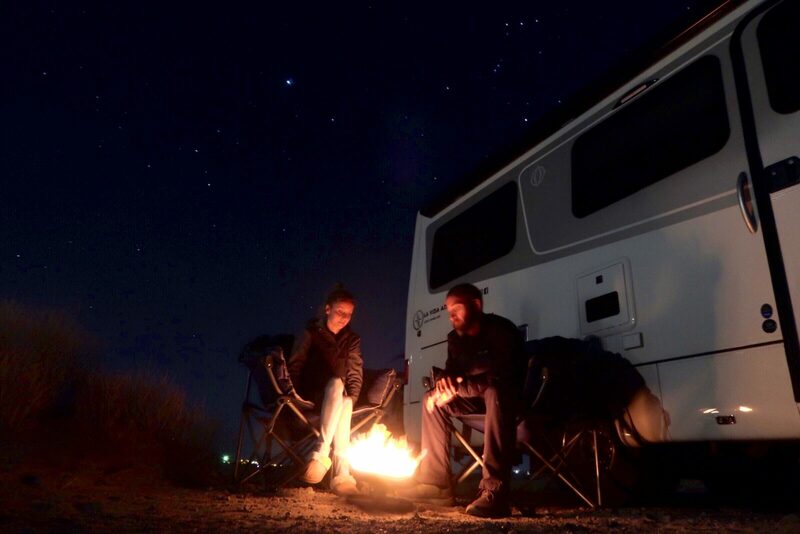 With a smaller RV, you can stay on the Bureau of Land Management (BLM) land, which is free to park on and in most locations you are permitted to stay up to 14 days. You can also park at a retail store or rest stop for a night. We can stop almost anywhere because we fit within 2 parking spaces, even pulling a small trailer. 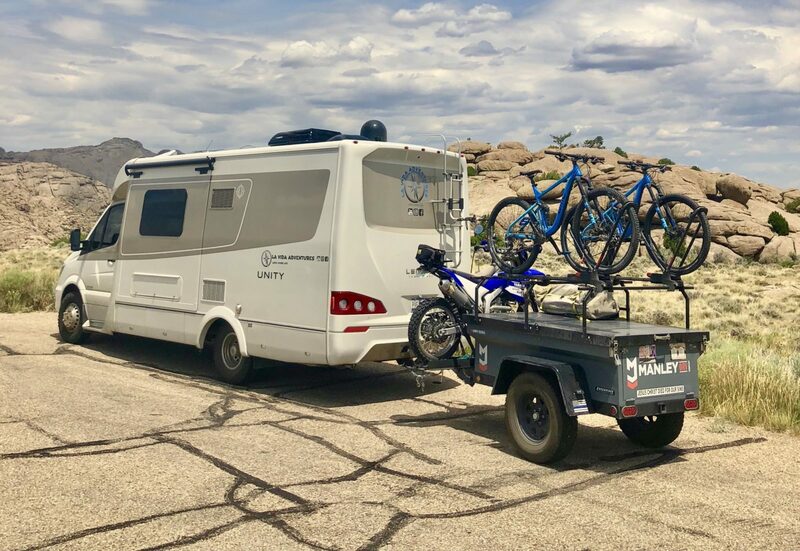 We have gone through a few setups for the back of the RV in order to keep the motorcycle; although it is not necessary for transportation, we do love having it to explore off-road in the mountains or in the desert. For those reasons, we now pull a trailer with a rack custom-built for the motorcycle. The trailer has not in any way been a nuisance on our travels, and we are still able to stop everywhere we desire. Route Planning or Spontaneous Stops? When we had our fifth wheel, we had to plan our route and where we were going to stay in advance because of the height and length of our RV, which limited which routes we could take. For example, there could be a covered bridge or tunnel on the route with only 11 feet of clearance, and our fifth wheel was 13 feet 6 inches tall. And taking a pass through steep grades and winding roads in the mountains was a nightmare. We were typically taking the truckers’ route and missing all the sights, scenery, and small towns in between. We didn’t want to have to plan our route, and we certainly didn’t want to miss out on being able to stop in a small town for a night. Let’s say we camped for free last night at a rest stop. Today we have plans to enjoy the beach and go to dinner. After dinner, we need somewhere to sleep, so we pull into a Walmart parking lot. The next day we need to do some grocery shopping and get some work done on the laptop, so we wake up and head to the grocery store, do our shopping, then come back out to get our work done while we are still parked in the grocery store lot. Now we need a place to stay again for the night, so we head out to some nearby BLM land. The next day, we decide that we want to head to a national park to hike and camp. The campground is limited to 30-foot sites – no problem since we’re 25 feet. Maybe along the way, before we get to the national park, we’ll pass a small town and want to stop. We can do that too and not think twice. 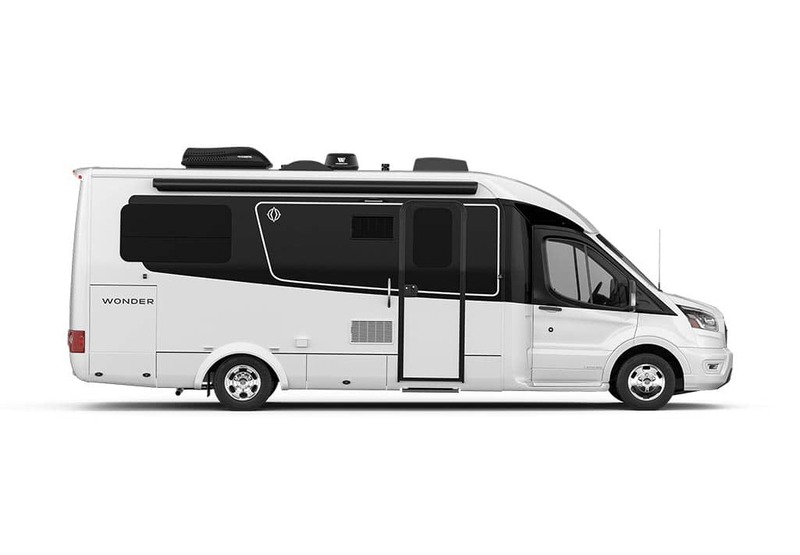 With our smaller RV, we no longer have to plan for tomorrow. What Kind of Traveling Do You Want to Do? Maybe you don’t care about stopping in small towns and or driving down every road, so you get a Class A or a Class C to park at the RV park, and tow a small car that will get you around and into the big cities. Or maybe you get a camp trailer because you want a big truck that you can haul an ATV on, to ride off-road in the desert. Or maybe you want to live like we do, in a Leisure Travel Van. 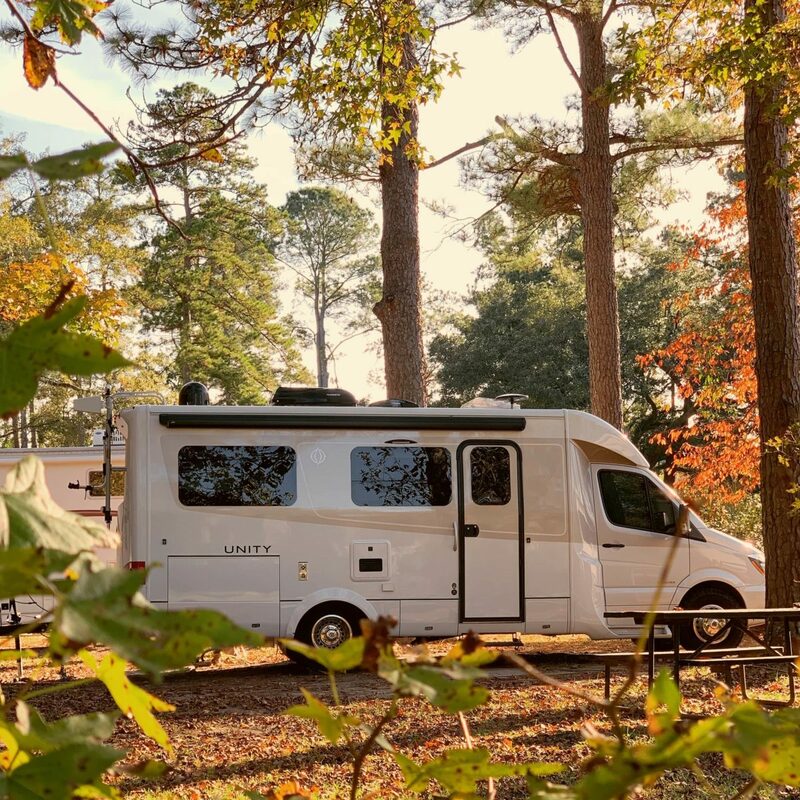 After traveling for a year in our LTV, we have been able to explore the backroads, park downtown, and adventure through the winding mountain roads. 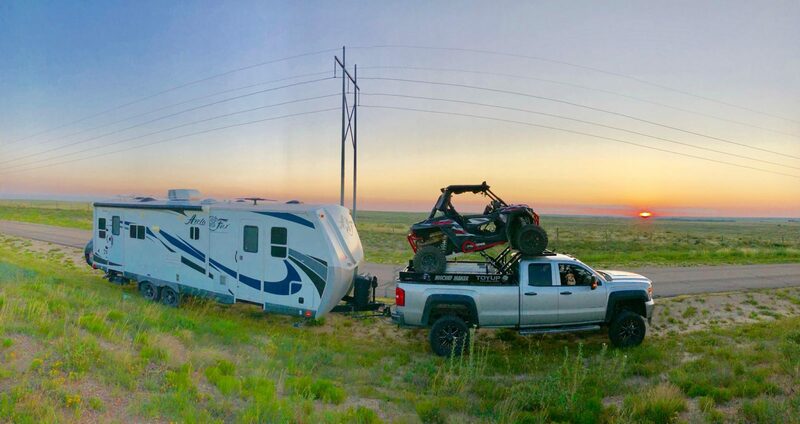 We certainly would not have been able to do most of these things if we were still pulling around a big fifth wheel. We are La Vida Adventures on YouTube. A young couple traveling and living full-time in our Leisure Travel Van. We share our adventures in hope to inspire others through the Leisure Explorers Team, Instagram, and YouTube.